Software designed to transfer contacts from iPhone to Android, Gmail and Google Contacts. 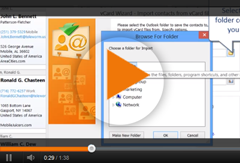 iPhone contacts transfer to Google Contacts, Gmail, Android, vCard or Outlook is made really easy. vCard Wizard Contacts Converter Pro Edition is the easiest way to transfer contacts from iPhone to Android. 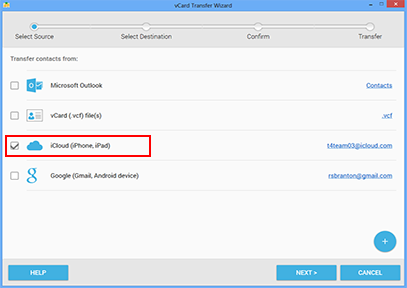 Enabling iCloud on your iPhone allows you to use vCard Wizard Contacts Converter to transfer your iPhone contacts to Google Contacts, Gmail and Android. In just a few seconds, the contacts you have transferred will appear in your Gmail contacts and connected Android devices.